Get the 411 on this sturdy, stately siding to decide if it’s right for your home-to-be or exterior remodel. Prized for its classical appeal, durability, and low maintenance, brick is among the most desired types of exterior siding. While it’s traditionally found on Colonial, Greek Revival, and Tudor style homes, brick is just as attractive on a ranch or an English cottage. If you’re considering brick siding for a newly constructed home or an existing one—or if you’re just a fan of these striking structures—keep reading. 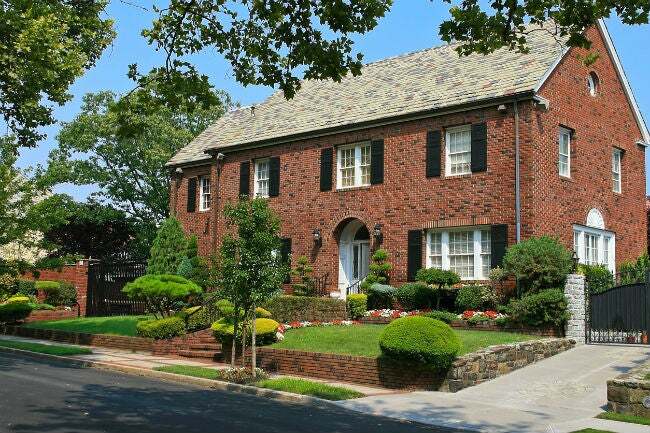 We’ll detail the benefits of brick homes and other considerations so you can make an informed choice. The earliest known brick structures, dating back to 7000 BC in Turkey, featured crudely crafted blocks of clay left to dry in the hot sun until they hardened. Rudimentary by today’s standards, ancient bricks were valued for constructing strong walls, floors, and bridges. Sun-baked bricks remained the norm until ancient Romans, around 3000 BC, began firing clay bricks in earthen kilns, which greatly increased their structural integrity. Today’s bricks are created through an extrusion process, whereby low-moisture clay is forced into columnar molds, allowed to set, and then cut into smaller sections to form individual blocks. The bricks are then fired at a high temperature, resulting in strong bricks of uniform size. Houses with thick brick walls were common in Europe from the 14th Century up until a few hundred years ago, when they were gradually replaced with wood-framed walls. Because transporting bricks over long distances was cost-prohibitive, solid brick wall construction was mainly limited to regions were bricks were manufactured and easily accessible. Early brick wall construction in Colonial America often featured double brick walls, stacked a few inches apart, but parallel to each other, and then the gap between was filled with small rocks and rubble to create a thick wall that was strong enough to support a second story or overhead roof. As wood-framing techniques advanced in the 1800s, and mass production of wooden timbers and studs began, solid brick wall construction declined. The advent of universal building codes further decreased the use of bricks in solid wall construction, because they were more likely to crumble in an earthquake-prone area. And so bricks are now reserved for creating a durable and beautiful exterior, rather than a weight-bearing wall. Today’s houses are constructed with wood or metal studs, with brick installed on the outside as siding. 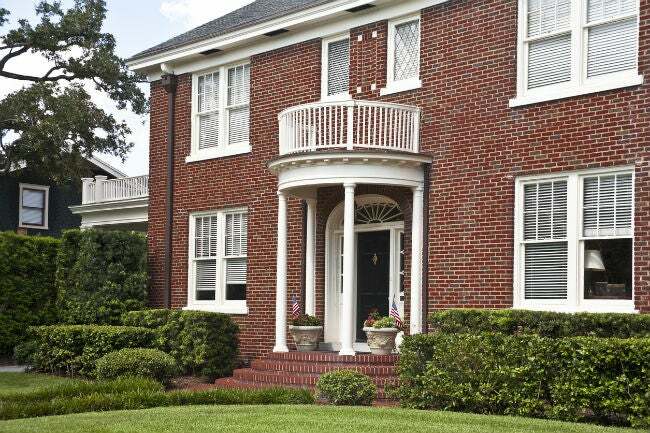 While brick is no longer used for structural support, it offers a home more than a pretty face! • Brick homes are fire-resistant and will often have lower homeowner’s insurance premiums. • Brick is unaffected by moisture—it naturally absorbs and then releases moisture without damage. • Clay is one of the most abundant natural materials on the planet, making brick environmentally friendly. • Strong and durable, bricks won’t dent or break like vinyl or aluminum can. 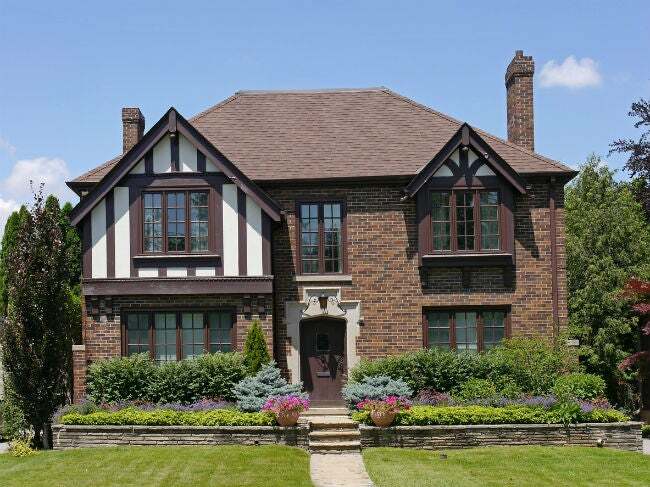 • Brick helps insulate a home, resulting in more consistent indoor temperatures. Rooms stay warmer in winter and cooler in summer, keeping heating and cooling bills down. • Sound transfer is reduced through brick wall construction; residents are less likely to be bothered by traffic and other outdoor noises. • Brick increases property value. In addition to being a selling point, installing brick siding on your home translates into an approximate 6 percent increase in its value. Bricks come in a variety of colors, ranging all the way from white to black and including shades of red, orange, tan, gray, rust, brown, and similar earthen hues. Multicolored bricks, featuring two or more complementary or contrasting colors, are also available. The texture of the brick face (the side that faces outward) can be rough, smooth, or somewhere in between. While classic red brick is always in style, in recent years, gray bricks and limewashed bricks that give a house a vintage whitewashed look are popping up in new housing developments. Homeowners can further customize the look by choosing from a handful of mortar colors, ranging from white to deep gray. 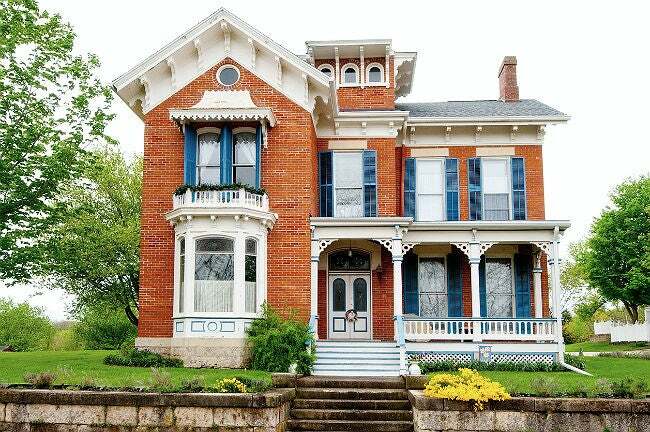 Brick is pricey—nearly twice as expensive as other types of siding. Vinyl siding costs $3 to $7 per square foot to install and wood siding runs $5 to $7 per square foot. Professionally installed brick siding will set you back $8 to $15 per square foot. The standard residential bricks used for siding, known as “modular” or “face” bricks, are uniform in size; 3-5/8” wide, 7-5/8” long, and 2-1/4” high. Allowing for 3/8” mortar joints, that equals seven bricks per square foot, installed. Unlike the bricks used for paving, modular bricks are not solid; they feature three vertical holes that allow the mortar to seep in and create a stronger bond. 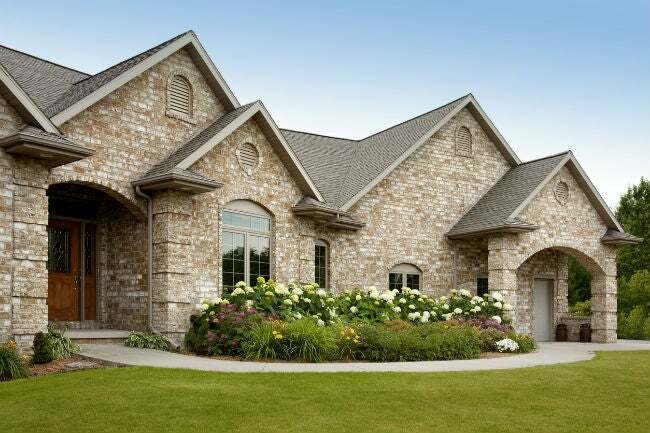 Siding assembly for brick homes typically involves installing a membrane, such as vapor-resistant house wrap, over the home’s sheathing (the plywood sheets that cover the wall studs) and then leaving a narrow air space between the membrane and the bricks. During construction, the brick siding is secured with metal anchors, known as “brick ties,” to the home’s framing. Mortar is used to create uniform joints between the bricks, and small holes, known as “weep holes,” are positioned along the bottom course of bricks to allow any water that happens to get behind the bricks to drain out naturally. Laying bricks requires skill and precision and is a job best left to the pros. While brick siding is low maintenance and will last 25 years or longer, good care and maintenance practices will keep it in great shape even longer. • Clean brick siding by spraying its surface with a regular garden hose, fitted with a spray nozzle. A pressure washer isn’t recommended; the intense water pressure can damage older brick surfaces and mortar joints. • Remove efflorescence (chalk-like stains that develop on brick exposed to high levels of moisture and humidity) with full-strength white vinegar. Spray the stains, wait 10 to 15 minutes, and then rinse with plain water from the hose. • Ensure that your home’s foundation is sound. In older homes and those with foundation issues, settling and movement can stress brick walls, resulting in cracks in the mortar joints. To reduce the risk of foundation movement, install guttering and downspouts that will direct water away and keep it from pooling around the foundation. • Have older bricks repointed when necessary. While brick is one of the longest-lasting sidings around, after a few decades, the mortar joints can begin to fail and crumble. A mason can repoint the bricks by removing a portion of old mortar and refilling the joints with fresh mortar. Repointing should be done by a qualified mason and can cost $2 to $5 per square foot.